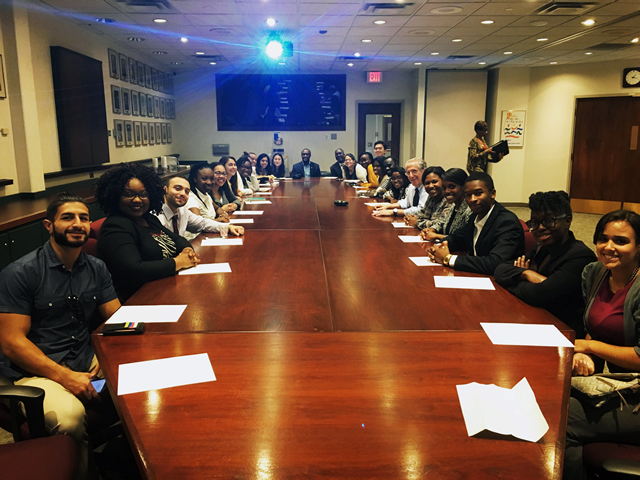 SEP 2016 Students in the Flint Hurley Medical Center Board Room listening to President/CEO Melany Gavulic, Chief Human Resource Officer Tyree Walker, and Flint Water Crisis Expert Dr. Mona. 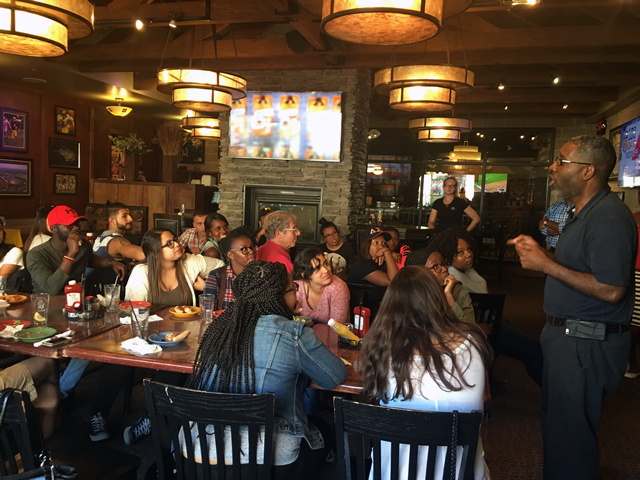 SEP 2016 Students on a Friday site visit in Flint at Blackstone’s Pub discussing with Dr. Dotson. Lunch followed a great Flint Neighborhood Tour by Armed Forces Veteran Gerald Battle and Flint Historian Dr. Lee Bell. 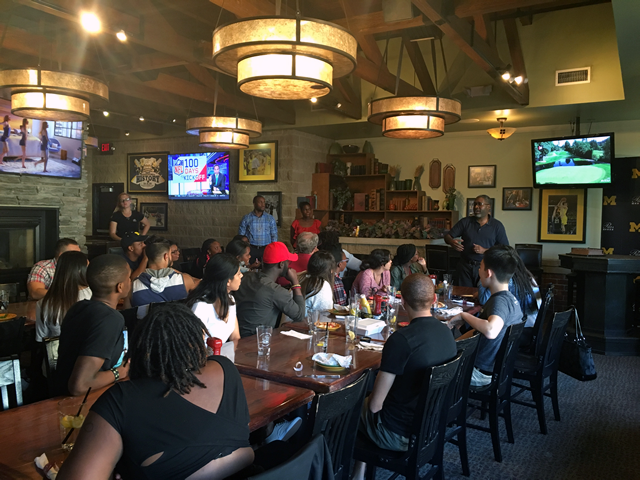 SEP 2016 Students on a Friday site visit in Flint at Blackstone’s Pub discussing with Dr. Dotson the Flint Neighborhood Tour by Armed Forces Veteran Gerald Battle and Flint Historian Dr. Lee Bell. SEP 2016 Orientation Preceptor and Alumni Panel. L-R: Leseliey Welch (SEP ’99), Rosalind Garcia-Tosi (SEP ’91 and SEP Preceptor), Alonzo Lewis (SEP ’90 and SEP Preceptor), and Moderator Olushola Samuel (SEP ’09). 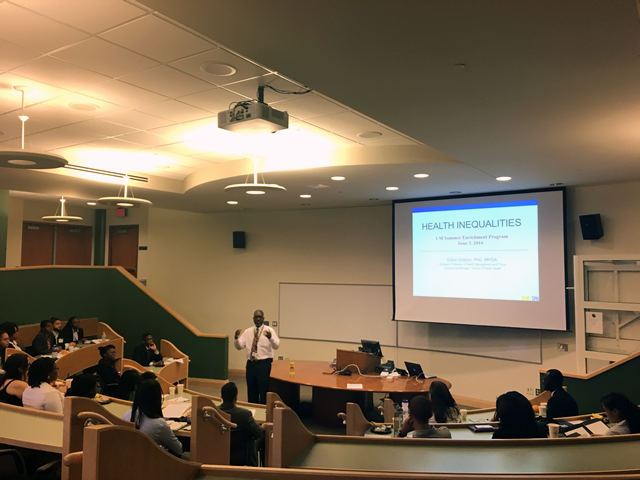 SEP 2016 Orientation lecture “Health Inequalities” with Dr. Dotson. 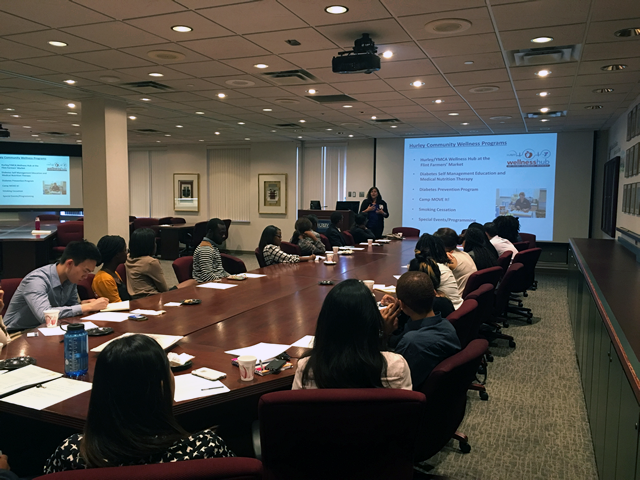 The Community Health and Social Services (CHASS) Center is always one of the first Friday site visit for SEP students. 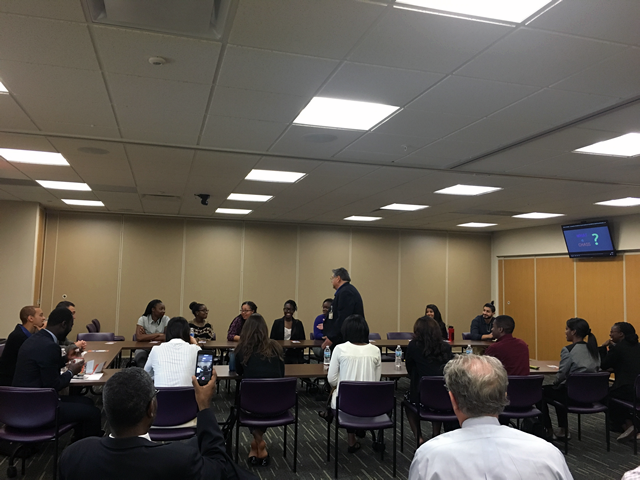 Here, Ricardo Guzman, CHASS CEO, is engaged with students on the benefit of Community Health Centers like CHASS. 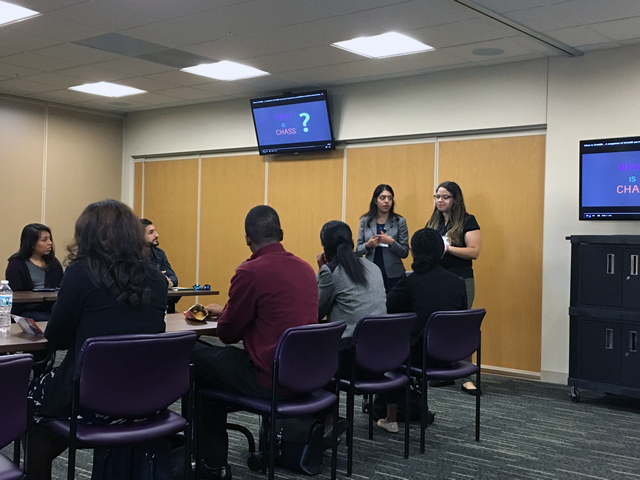 SEP 2016 Students, Doris Valle-Rayo (standing, left) and Luisa Ferrerras (standing, right) present “What is CHASS” to their student cohort. Both were placed at the Community Health and Social Services (CHASS) Center. On a beautiful Saturday morning, the SEP 2016 Cohort were up and out at Washtenaw Community College to serve as volunteers at the American Diabetes Association Tour de Cure Race fundraiser. Our SEP 2016 cohort had the largest volunteer group with 25 volunteers. 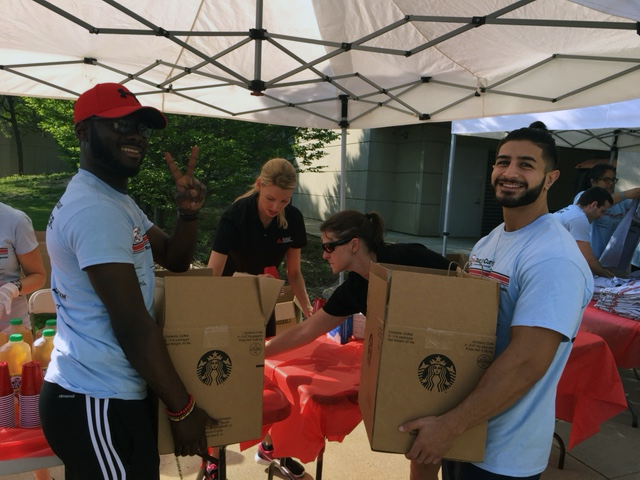 SEP 2016 students Joseph Gyasi (left) and Omar Abazeed (right) became the hit of the morning with riders and participants at the American Diabetes Association Tour de Cure race at Washtenaw Community College. They were caught here volunteering as Starbucks coffee smilesmen! SEP 2016 Friday site visit to Hurley Medical Center in Flint, MI. 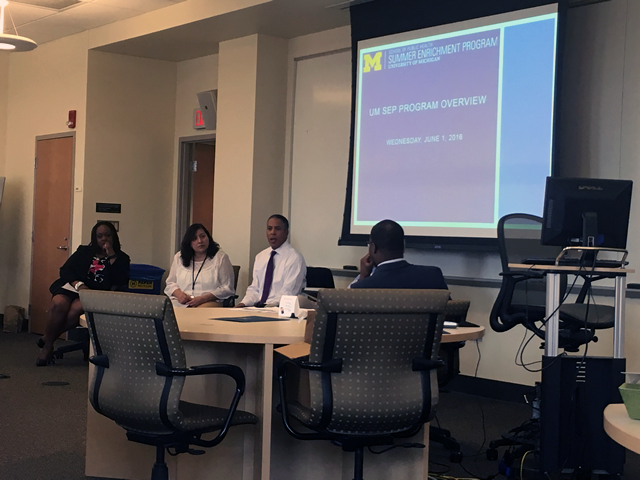 The SEP students were welcomed by executive administration, including the President/CEO Melany Gavulic, Chief Human Resource Officer Tyree Walker, and Flint Water Crisis Expert Dr. Mona Hanna-Attisha. 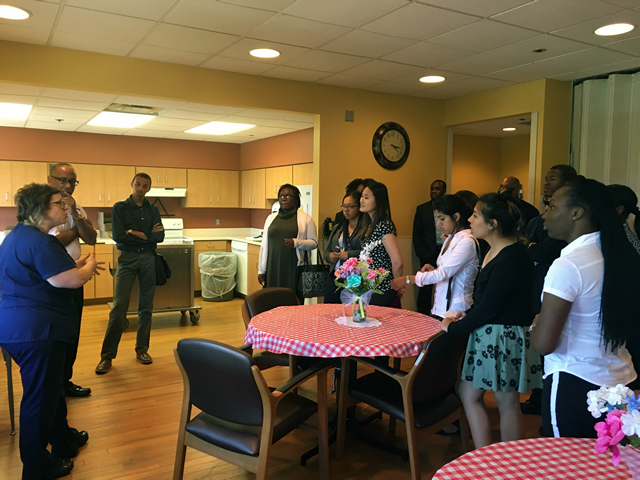 SEP 2016 students touring Hurley Medical Center in Flint, MI during one of the Friday site visits. Visibly Pictured (L-R): Deja Knight, Liz Lopez, Tere Cooley, Alban George, Katie Nerses, Karam Gagi, Doris Valle-Rayo, Jessica Leung, and Lisa Williams. 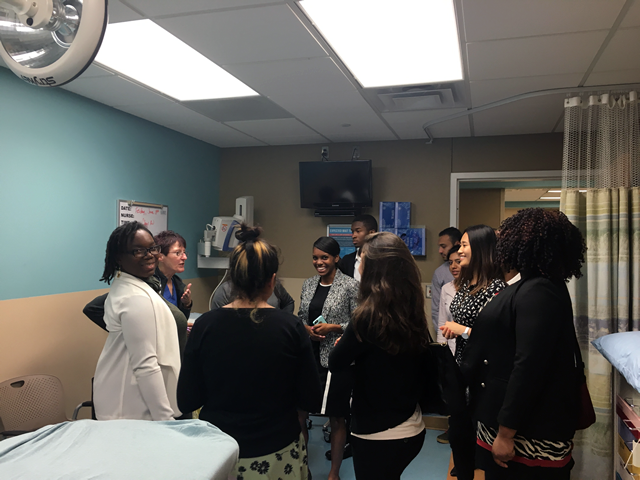 SEP 2016 students touring Hurley Medical Center in Flint, MI during one of the Friday site visits. Visibly Pictured (L-R): Matthew Crumpton, Deja Knight, Natalie Reid, Christopher Clarke, Doris Valle-Rayo, Liz Lopez, A’ja Johnson, and Alban George.